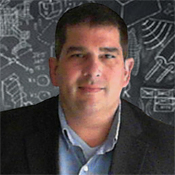 Bryan has 20+ years of experience in solutions envisioning and architecture for companies in numerous industries. Consulting on in-depth customer-to-provider collaboration to vision, design, develop and deploy a solution that is what the customer wants and needs, and which can be enhanced over time by the provider. Managing rapid deployments of new functionality through Agile and ongoing usability research to make sure the feature gap is as small as possible. This approach with heavy experience in the social networking and marketing space led Bryan to work in the field of collaboration implementation in the enterprise environment. Using methods to assess and understand the corporate mental model and then identify the right change catalyst to enable viral adoption of new concepts for collaboration. You need a visionary to get things started, supported by other players who know how to get things done.